IF YOU WANT STRANGERS TO ASK TO TAKE A photo with you, walk around in a park ranger’s uniform. As chief ranger at Grand Canyon National Park, Matthew Vandzura knows this well. 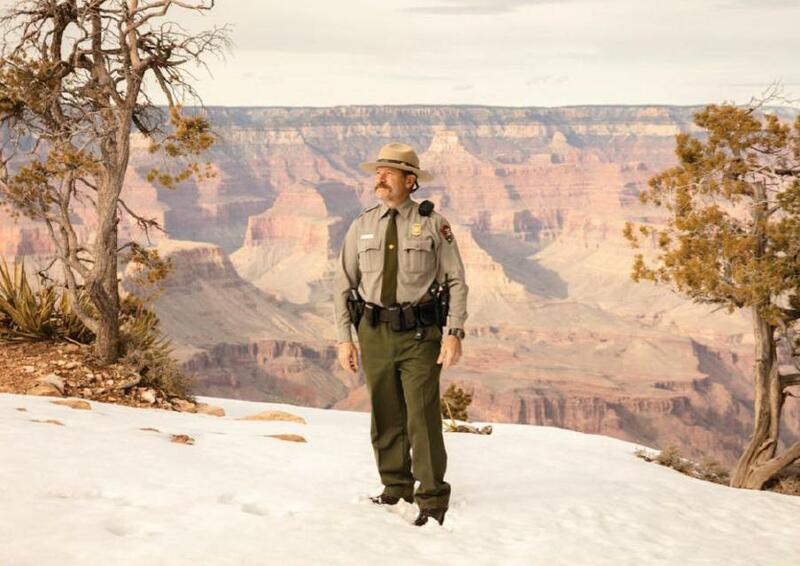 Even on a winter day, with snow on the ground and only a few dozen tourists at the popular Mather Point outlook, the jovial keeper of the canyon is in high demand. Hardy juniper clings to the ancient rock, a blue-black raven soars above the majestic chasm, and selfie sticks point like fingers toward the open Arizona skies as Vandzura, 51, smiles for snap after snap. On busier days, it’s normal for a line to form.